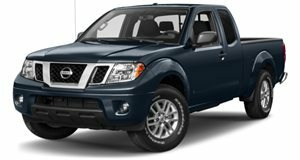 It may sound hard to believe, but the current Nissan Frontier has been on sale since 2004. Despite various updates along the way, the truck’s basics have remained unchanged and yet it still remains a top-seller for Nissan. Perhaps the reason why is its simplicity, ideal dimensions, and overall ruggedness. But all good things must come to an end… and the start of a new beginning. According to The Drive, the Vice President of Nissan North America, Fred DePerez, has confirmed that development of a new Frontier is "well underway.” Furthermore, we "won’t be disappointed with it.” The news doesn’t come as much of a surprise, but it’s good to hear someone at Nissan has officially gone on record to confirm what we’ve long suspected. Unfortunately, DePerez could not provide a precise timeline as to when the new Frontier will arrive, but chances are it’ll be sooner rather than later. It’s also unknown whether the new truck will share a platform with the next-generation Navarro, which is sold in many overseas markets. The Navarro’s platform also serves as the basis for the Mercedes-Benz X-Class. The arrival of the reborn Ford Ranger and recently updated Toyota Tacoma are just two reasons why. The resurgence of the mid-size truck segment in the US means there’s money to be made because not every truck buyer needs or wants a full-size truck like a Titan or F-150. "Frontier is a key component of our truck strategy,” DePerez emphasized. 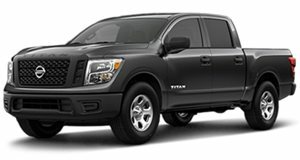 Another reason for the Frontier’s continued existence is for owners to, eventually, upgrade to a more expensive Titan or simply to remain a Nissan customer. 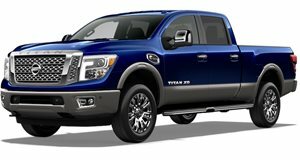 Nissan is also feeling confident about the Frontier in part due to 2018 sales. A total of 79,646 Frontiers were sold in the US last year, an increase of 7.1 percent from the year prior. It also outsold the Versa, Pathfinder, Maxima, Armada, Leaf, and 370Z. It even outsold the much newer Titan by almost 30,000 units. Not bad at all for a truck that’s 15 years old.